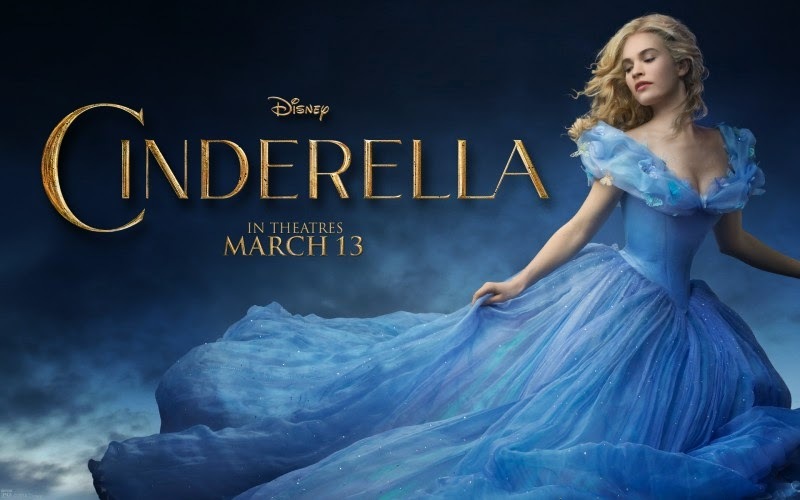 Despite the success of the awe-inspiring Maleficent, Disney must be sick of revisionist fairytale movies because the 2015 live action Cinderella is anything but. So closely have the film-makers stuck to the story depicted in the 1950 version that the eponymous heroine even chats to and has tea parties with mice. Obviously Cinders has never heard that urban myth about mice having no bladders or indeed found one dead under the toaster or I doubt she would greet them dancing around her bedchamber with such equanimity. 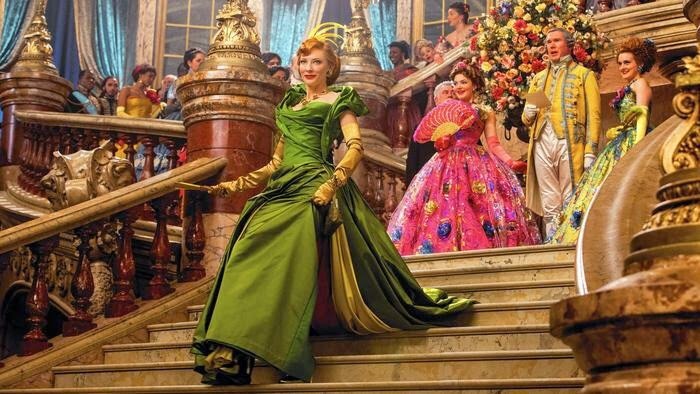 Still, mice aside, Cinderella is visually sumptuous. The vaguely Victorian period costumes are gorgeous and if every now and then you wonder why Cinders sticks to her pale blue party frock for cleaning out the grate or wish there were one or two less butterflies on her ballgown, it's more than made up for by the wicked stepmother's (Cate Blanchett) awesome wardrobe. But why? WHY? It's a visual feast (the best makeover - and makeunder scenes ever), it has a stellar cast... where did this film fall short? 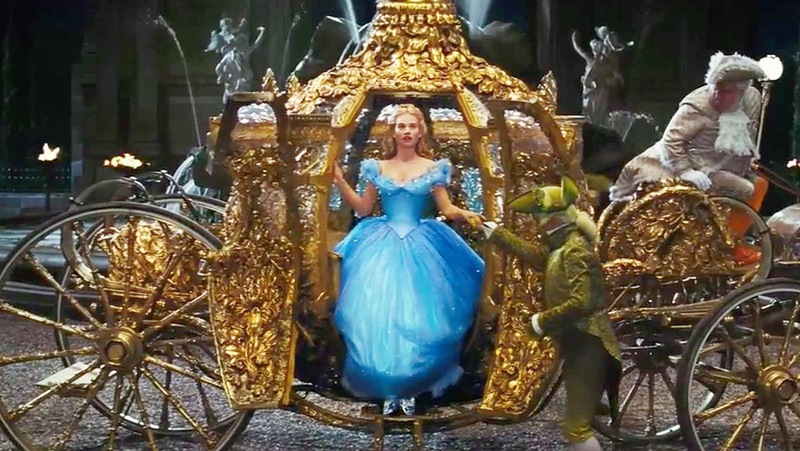 What I Learned About Storytelling From Watching Cinderella. Characterisation: for a character to be interesting it has to be three dimensional. And I'm not talking about the green and red glasses here. Maleficient worked because there were shades of grey in every character, good or bad. Maleficent was a pure-of-heart, generously loving imp who was scarred by her experiences, became very dark indeed and then struggled her way towards redemption. Her nemesis, the king, was an imaginative, open-minded boy who also happened to be dangerously opportunistic and ruthless. Aurora herself was no mild-mannered sweetheart. Sunny natured, she displayed anger, behaved rashly but ultimately had a great deal of discernment. Every single character went on a journey. It was interesting. Compelling, even. Compare to the characters in the 2015 Cinderella. Cate Blanchett tries with all her considerable talent to add some nuances to her wicked stepmother. There is an implication she is hurt, has become cynical... but ultimately, the relationship between she and Cinders is unsatisfying. When asked by Cinders why she has acted as she had, she says "Because you're young and innocent and good and I'm..." - she doesn't finish the sentence. It feels out of tune. Surely the tension here is about the amount of emotional investment Cinderella has received? Surely it's about jealousy? Meanwhile other characters - let's take the conniving Grand Duke or the irritating stepsisters are mere ciphers - it's as though no one has bothered to think of a backstory for them, which would remotely justify their behaviour. This is no reflection on the actors, who seemed to be doing the best they could with a weak script. Compare this to the wonderful 1976 musical The Slipper and the Rose, where the same set of characters were far more nuanced. Conflict: Sticking with The Slipper and the Rose, one way in which the Grand Duke character was nuanced was that he was genuinely concerned for the kingdom. There was a threat on the borders that must be addressed. This gave the viewer some sympathy for him. 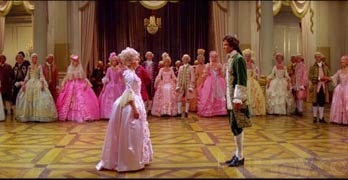 Social hierarchy is also a significant theme in The Slipper and the Rose: the Prince's relationship with Cinderella challenges the very fabric of society (as played out in the charming John/Anne subplot). This helps to raise the stakes for the Prince and Cinderella - it's going to be damn hard for them to be together. 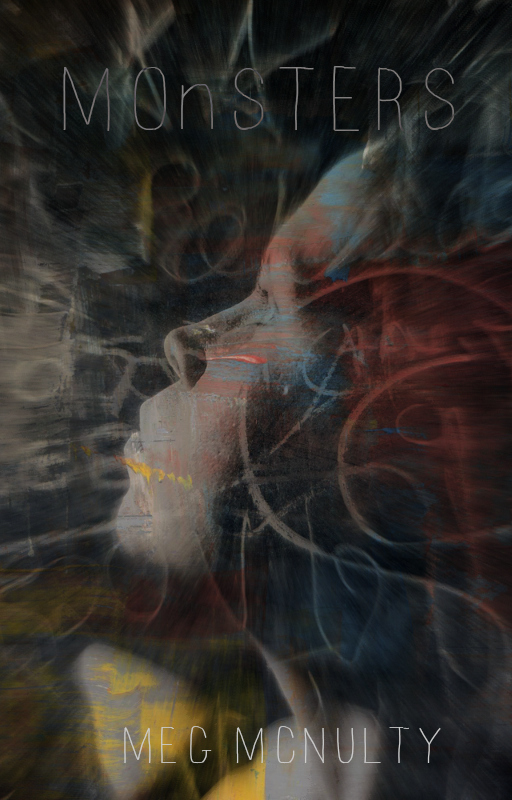 In the 2015 Cinderella there simply is no external conflict. Adding an extra few divisions of soldiers to the country's army ranks appears to be a nice-to-have, not a need-to-have. It's easily dismissed in the Prince's mind. Neither Cinderella nor the Prince have anything to lose by being together. Once they actually find each other, there are no real hurdles to overcome. In fact, if Cinders had wriggled out of the window, climbed down the ivy and hot-footed it to the palace the whole thing could have been sewn up without any need to launch a great big girl-hunt. Cinders just doesn't seem too fussed about doing so, being happy enough to hang about in the attic chatting to the mice. 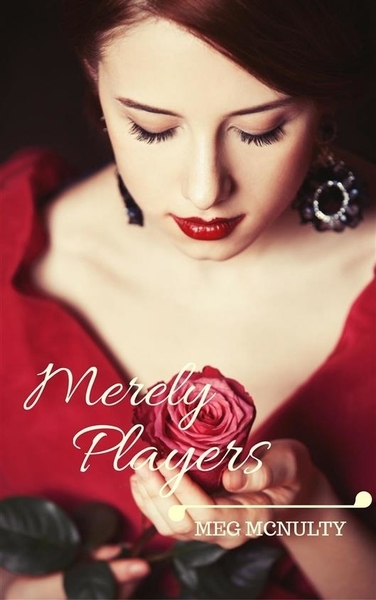 A great romance plot takes both romantic protagonists on a journey and stacks the odds against them being together. They have to work hard to get to their happy ending and they change along the way. It's like a quest story, but one that involves two people questing towards the goal from different directions. You win the prize by overcoming obstacles. That's the name of the game. Make every scene count: There's a scene in Cinderella where the Prince is having his portrait painted. The artist, Master Phineus, played by Rob Brydon, is a comic character who mouths off all throughout his scene. Why? For comic effect? Because... why? His lines don't do anything for the story. His could have been used to show that the Prince didn't take himself too seriously and that this was in conflict with the expectations of him. He could have been used to impart important information. In fact, his inclusion just felt pointless, distracting and at odds with the overall atmosphere of the film. 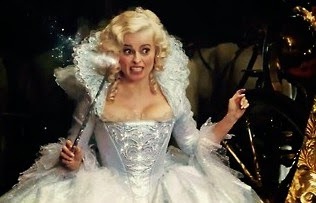 Compare to the Fairy Godmother scene with the brilliant Helena Bonham-Carter which is genuinely funny and is essential to the plot. Take a tip from Chekhov: "Remove everything that has no relevance to the story. If you say in the first chapter that there is a rifle hanging on the wall, in the second or third chapter it absolutely must go off. If it's not going to be fired, it shouldn't be hanging there." So what can a romance author learn from Cinderella? You can have gorgeous description (the book equivalent of sumptuous costumes and scenery) and you can have action - and Cinderella does - but without conflict, you don't have that satisfying feeling of resolution. Without strong, three dimensional characterisation it's hard to care that much about what happens to the people in the story. And without good editing, your reader will be distracted. Don't make your villains too bad or your protagonists too good - both are dull. Don't skimp on the conflict, internal or external, because without it your story won't keep the reader interested. Make the odds high. Show what they have to lose. When I asked my daughter why she gave Cinderella such a mediocre rating, she said: "It's like they should have thought about it more before they made it." PS she also said: "And she had too many butterflies on her dress." Another truth. Because like, sometimes, less is more. Oh my goodness--I LOVE this post! You articulated so well some of the nuances that were bugging me in the back of my mind that made me wonder why I don't watch certain movies twice. And I'm taking notes on your final analysis for what writers can do to make their stories that much richer. This is one post I will print out & keep in my file on "Great Writing Tips." Beautifully done. I haven't seen this yet, but found the trailers interesting. However I have only recently seen Maleficient and I didn't find it 'all that' - although it did become compelling. It improved, but was still thin - especially the King's character and why he did that to her. I did like that she was the one true love, that was a good twist, which Disney also did in Frozen with the sisters and make it compelling. (I loved Frozen). I am not sure I will go out of my way to see this one then. Not that you need the tips Diane! Your stories def don't suffer from these flaws! Maleficent isn't perfect but it did leave me feeling satisfied. I felt like I cared about the main characters and that they experienced a real arc and transformation. Cinderella on the other hand was visually stunning but I felt like the storytelling was lazy and the gender values behind it, actively dangerous. I've been left wondering why Disney (having received so much praise for Maleficent and Frozen) would backtrack in this say. It's disappointing. More on that in my next post! Having said that, it looks stunning. And the swishiness of The Dress probably deserves an Oscar category all of its own! I think every girl was dreaming about being a Cinderella! cheap paper writing service can show you all the benefits of being smart! It's even better that washing dishes like she did! What I would like to say. Each woman chooses her own way of life. Many of us are still living in a dream about handsome prince who will come to us one day and make a proposal. We can't decide whether it's good or bad. 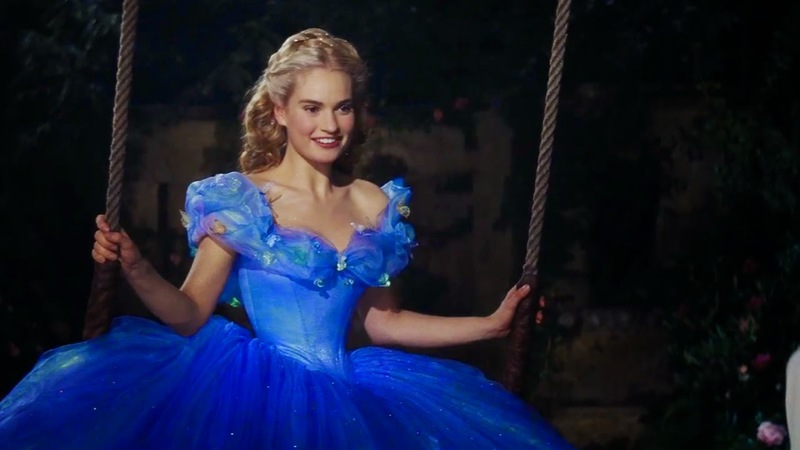 Cinderella the Movie: Why Do We Hate Ourselves?